Detailing clay is one crucial paintwork treatment which is often overlooked. However, every car will benefit hugely from the treatment of a clay bar, especially if you desire to have a jaw dropping finish. Using a clay bar is one of the key ways to remove invisible Industrial pollution and contaminants from the paintwork, if the contaminants are left untreated embedded in the paintwork for too long it will cause the formation of rust. After use, the paintwork will be as smooth as glass, no longer will there be a rough and coarse feeling which once prevented the perfect finish. At the very least vehicles should be clayed atleast once a year. 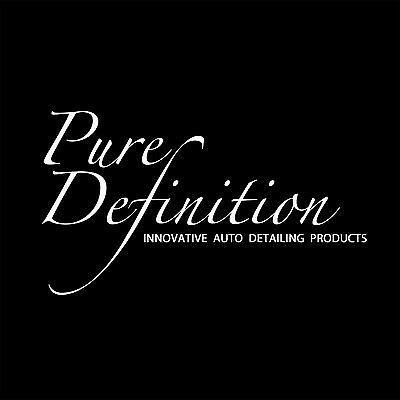 Pure Definition Gold Edition Twin Luxury Clay Bars are developed purely to offer the highest quality and performance. The clay is designed to be ultra soft and extra pliable, ensuring effortless ease of use and guarantee the clay molds to curvature of the paintwork. The Twin Gold Edition clay bars are encased in its own storage case - remanding clay after use can be stored away safely within the case. 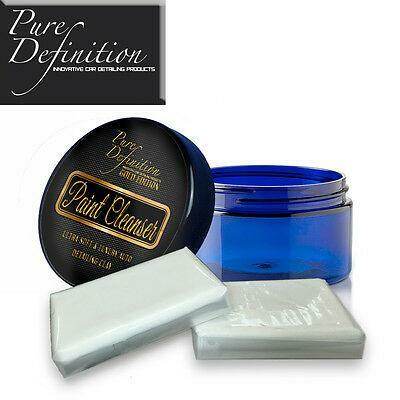 The range of Pure Definition Clay Bars are a key tool within a detailer's arsenal of products. They effortlessly remove hidden ingrained dirt from paintwork, transforming the surface to as smooth as glass. The clay bats will not remove paint or the clear-coat finish. The use is as often as necessary to keep the surface free of contamination and smooth. Other than paint, the clay bars can be used on glass and mirrors.